More black walls! 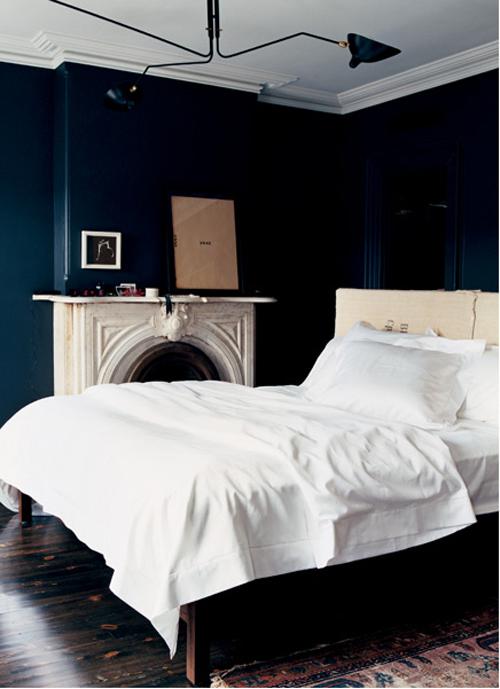 How do you feel about these dark colored walls? 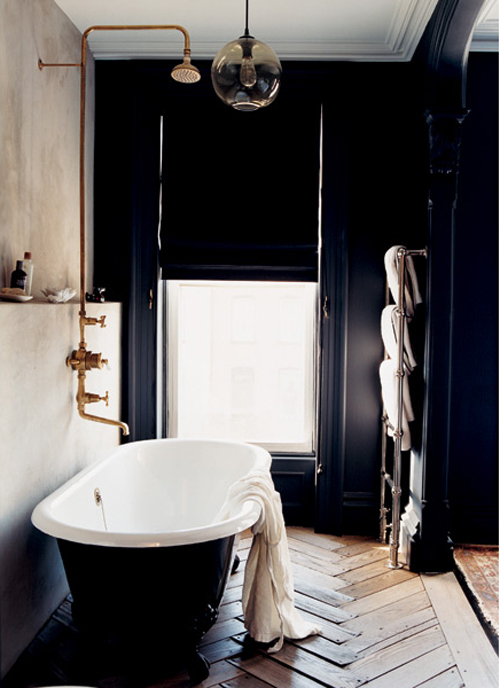 I do like the black wall in the bathroom combined with the beautiful wooden floor. This bathroom is stunning! The color they picked and the materials that went with. I’m fond of the intimacy it has created. My all time favorite!!!!!!!!!!! I love Jenna Lyons home!